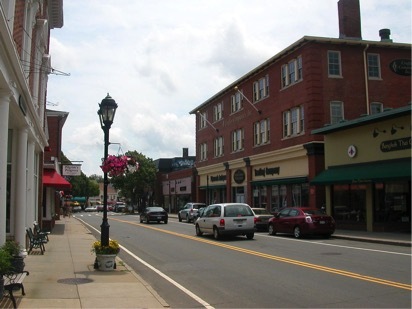 Old Colony Heating, Air Conditioning & Plumbing is proud to serve the Plymouth community! About Plymouth, MA - Happy to be your hometown Heating & Air Conditioning Contractor! Considering Plymouth is one of the first settlements in the country, the city is known for its historical value. First inhabited by the Pilgrims in 1620, there are now about 56,500 residents that call the city home. Plymouth serves as a tourism and economic center for the South Shore of Massachusetts, and the state’s only nuclear power plant, Pilgrim Nuclear Generating Station, is found here. The Plymouth School District serves the community, and there are two institutions of higher learning found here – Quincy College and Curry College. Plymouth is a popular tourist destination in New England, especially around the Thanksgiving holiday. There are several historical sites located here, including Plymouth Rock and the Mayflower II, which is a replica of the original Mayflower that brought the Pilgrims to the U.S. in the 1600s. Plymouth is a great destination for golf lovers, with popular courses including Crosswinds Golf Club, Village Link Golf Club, and Southers Marsh Golf Club. It is also a popular area for outdoor recreation, as Myles Standish State Forest, the second largest state forest in Massachusetts, is also located here. Whether you are living in Plymouth or are just passing through to learn more about the area’s rich history, the weather can make a big difference in what you are able to do. Weather extremes are common during the winter and summer m months – winters are cold and snowy, while summers are hot and humid. The area is also prone to severe thunderstorms and Nor’easter weather patterns, and with such unpredictable climate conditions, it is important that residents have energy efficient climate controls at home to stay comfortable regardless of what is thrown their way. It is recommended that area residents take advantage of the calmer and more predictable spring and autumn months in order to have their systems repaired or replaced if needed, as this can prevent a hassle and major expense later.